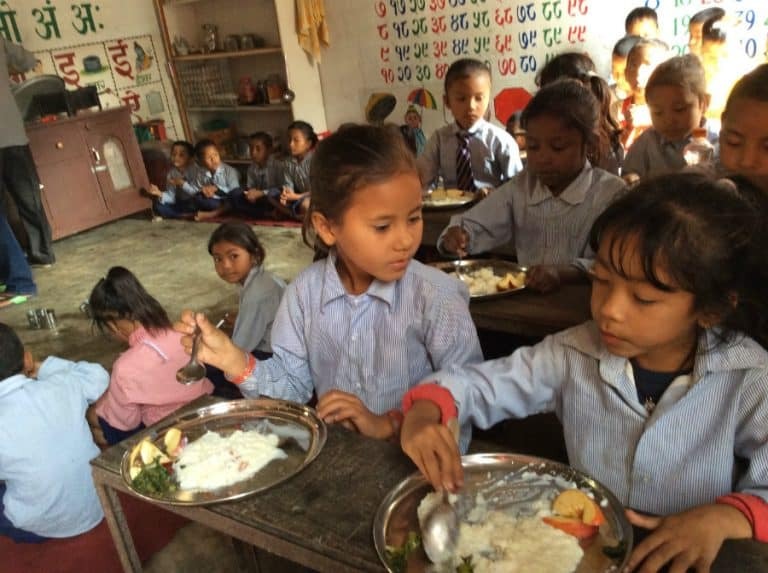 Frontline relief work: the 2015 Earthquakes in Nepal destroyed homes and schools, livelihoods and lives. 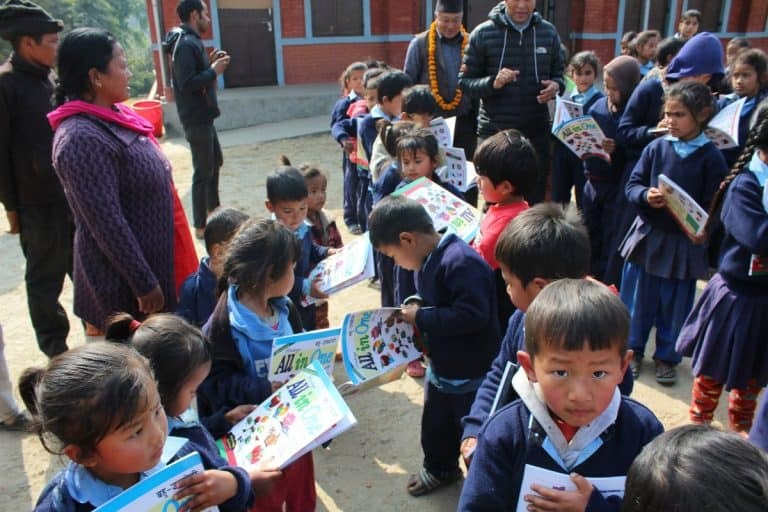 Here is a first-hand report by Mr Kinley D Lama, the Headmaster of Pegasus English School, who led three relief trips funded by donations from CHANCE for NEPAL. It is now over two and half months since the major earthquake in Nepal of the 25th April and then the one on 12th May. We were very lucky to be provided help by many of our international friends some whom I had not even seen and many who had not been to Nepal. 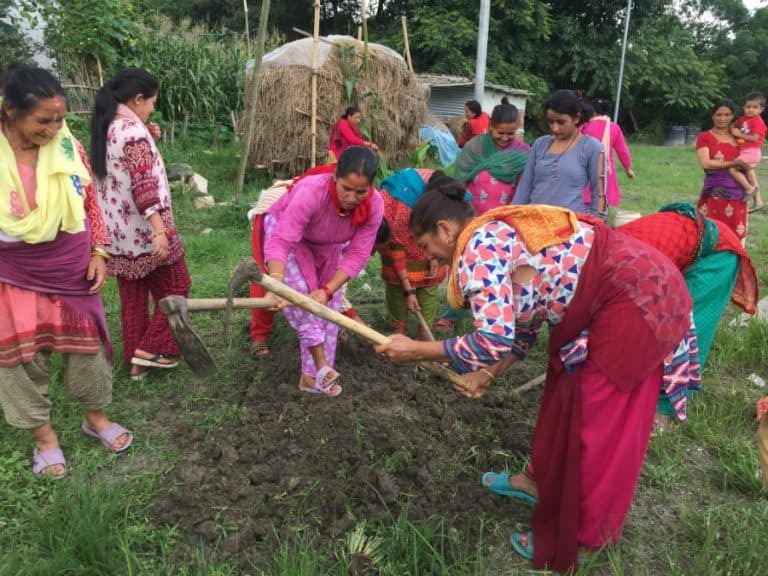 We had managed quite a few trips to many villages to render our help by distributing much needed food and materials. 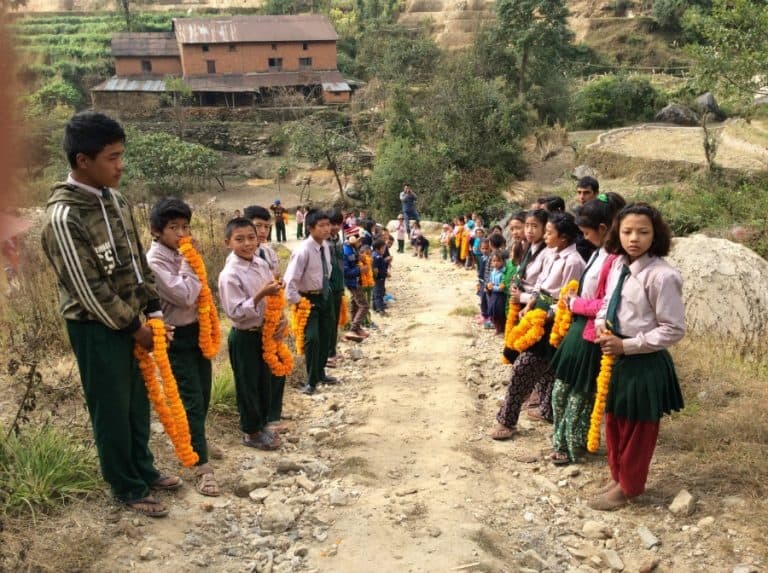 With the funds from CHANCE for NEPAL and the Lions Club in Australia, we made a relief distribution two trips to two wards of Perku Gabisa and Sindhuplachowk. As usual, we had the help of our hostel children when we were dividing the packages into individual packages for easy distribution. This time we decided to distribute to the people of the village of Perku Gabisa. They had 73 households in these two wards. The nearest vehicle stop was over an hour’s walk from the villages so we had to ask the villagers to come to our side of the hill. Knowing that while we were waiting we would have lots of other visitors, we managed to take 102 packages. We started at 6.30am. It was like always a mixed group of senior students and teachers. It was the same route we always used to take till a place called Dolalghat. From there we took the route that would take us through Khadechaur –the bus route towards Jiri, the old gateway to Everest before flights to Lukla started. When we crossed Khadechuar, we got ourselves into a huge traffic jam. The road from the China/ Nepal border had been closed since the first earthquake. And funnily it was on the 11th July that it was reopened so we had over 400 trucks on the way. Each police checkpoint had to have an entry of these vehicles documents and the manifest of the load and it was taking between 5 to 10 minutes per vehicle. For what purpose, we could not find out as all these truck containers were locked and sealed in the presence of the custom people at the border. So you can imagine the amount of time we had to wait at these checkpoints. The roads being narrow and the drivers in Nepal always wanting to rush around though never arriving on time anywhere (the way they rush about, you would think all people in Nepal were very punctual and manage their time well), it was only at about 2.30 that we reached the distribution point. And this time we saw a new crowd. We saw more of old people and young children who had come to receive the food packages as many of the adults had gone to find work (to Kathmandu ) or were in the fields doing the planting and could not take the time off to come to receive the food, however important it was to receive the food packages. And for this village, it was the first time that they had received any food packages. They had received tarpaulins from the government but not food. According to them, no INGO or NGO had reached them to help them with food. This made me wonder how they had managed and will manage in the future and how many such villages, far away from the motor roads were managing. Asking questions were futile, as I knew, we would not have the answers to their answers and would not know how to respond to their answers. It is difficult to explain the mood of our trip, the mood of the people gathered. 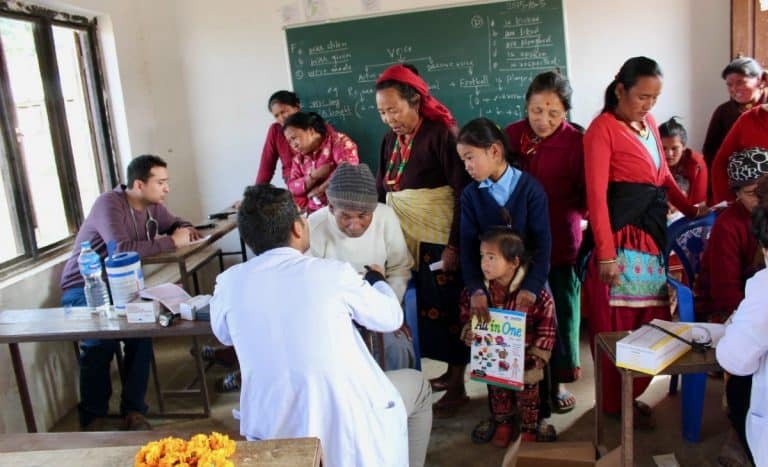 The desperation we saw in our previous trips to different villages was not seen as if it was hidden too deep inside or as if they did not care at all about their conditions and yet we could see some of them smiling and laughing when they were receiving the packages. We had taken some candies and treats for children and was shared amongst the adults also, and the adults acted like children when receiving it. Life is hard for us. But I felt that it is very hard for these people affected by the earthquake. Houses destroyed. Most houses having some dead or injured. Daily tremors between 4 to 5 magnitude being experienced. So they can’t even try to forget the experience and try to lead a new life. We could also see the new corn plants growing tall. Millets being just sown, so life is going on. As usual the sad part was the leaving. In that short space of time, we feel a bit attached to the people, thinking that maybe we are bringing them some hope, that they are not forgotten and worst of all, yet again some people who has to leave empty handed. Because the village was opposite to Tekanpur, where we did the previous distribution, some people from Tekanpur had come expecting some help. Though it should have been 73 houses there were about 95 from the villages as some people from the nearby villages had also come so even with our extra packages, many went back empty handed. What to do? We were getting late and so we started the return journey. And again we were stopped by the traffic jam. Trying to cross all those container trucks and trying to cajole the policemen into helping us across was yet another experience. But we finally arrived home at midnight. An exhausting day for all of us but as you know a very fulfilling day. 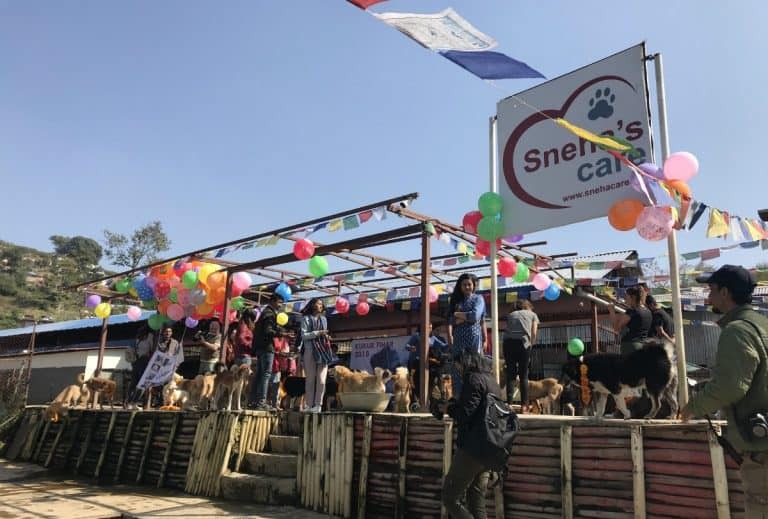 PrevPreviousEarthquake struck as the anti rabies vaccination programme was underway! 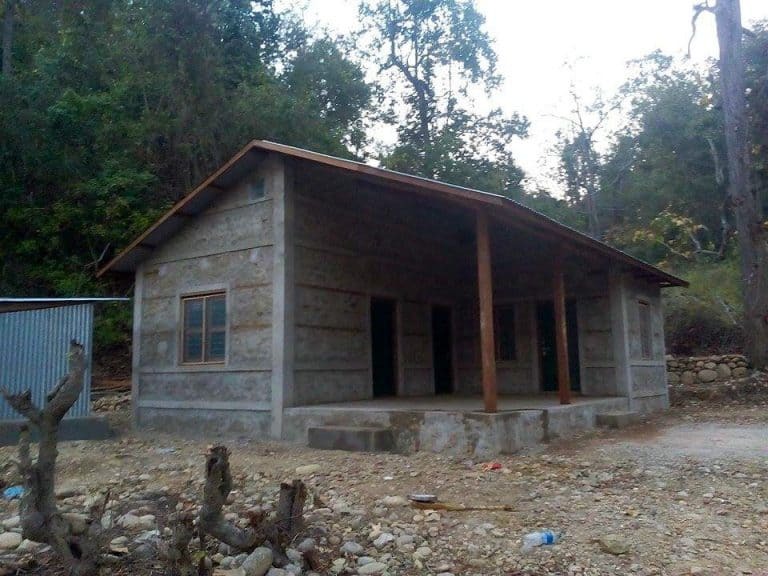 We are thrilled to announce that our new Health Care Centre in Purandhara, 600 kms west of Kathmandu in the region of Dang is now completed and operational.